The Oil and Gas industry won't change. Think again. From a recent study, it has been known that the Oil and Gas industry has contributed more than 61% in the global energy production. And the statistics measured that around 2.5 million of pipelines in the USA have 93 average leaks per Pipeline. Why the leaks in pipelines occur? Among the various reasons and predictions, it was known that there were prominently few major causes of the leakage. And the researchers predicted that the Corrosion alone contributes 61% to the total leakage in pipelines in contrast to the 39% of other miscellaneous factors. Monitoring these leakages was equally important as it was decreasing the overall economy of the country. Internet of things (IoT), a multivariable solution came as a vital solution to eradicate the leakage problem in oil and gas industry. Although 100% of pipeline leaks are traceable for any oil producer, an untracked oil leak becomes one of the worst possible eventualities. 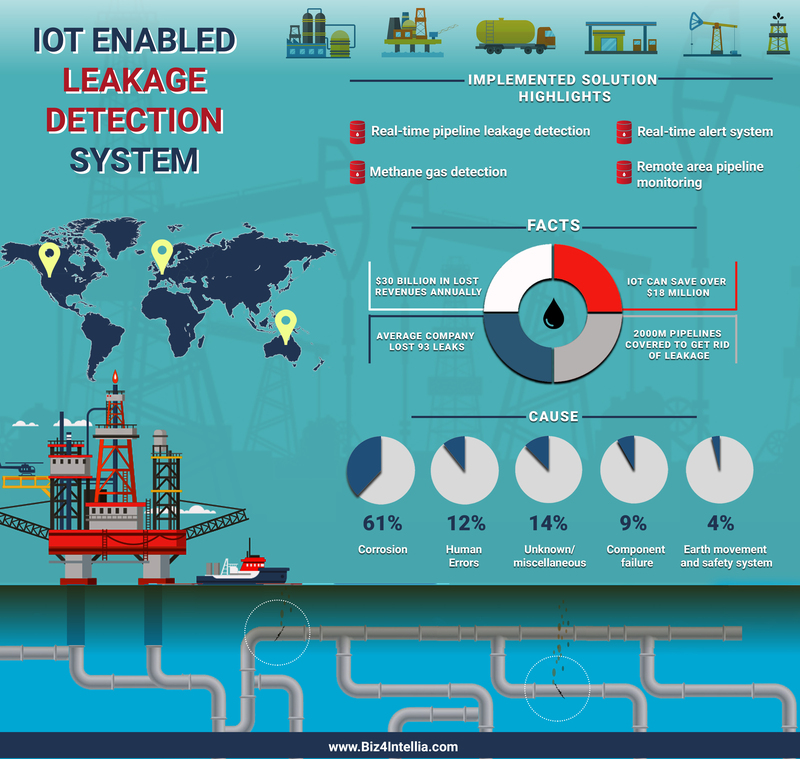 How the Internet of things (IoT) became a giant savior in leakage detection? 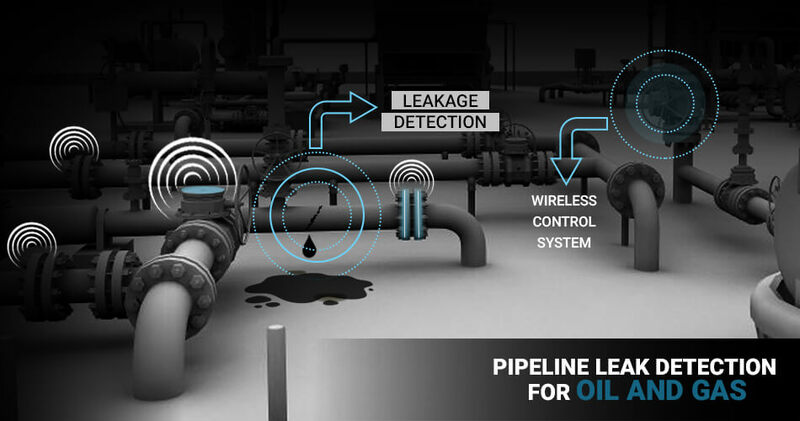 To have an integrated technology for the detection of leakage was something missing in midstream Oil and Gas. Oil and Gas industry believed in updating the traditional method of pipeline leakage to create a safer and greener industry for the next 100 years. As the detection of the leaks was getting exceptionally hard, especially in remotely located wells, an integrated solution became a necessity. 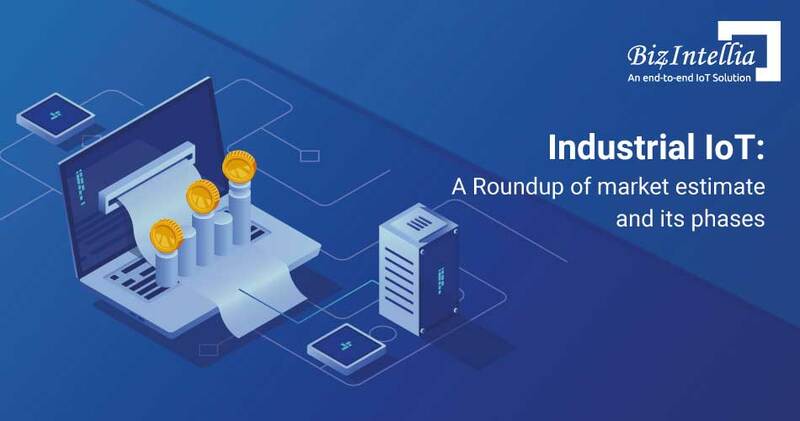 The Industry 4.0 or the Industrial IoT appears to be the future of the industrial revolution, the revolution which initiated with the introduction of steam power followed by electric energy usage. 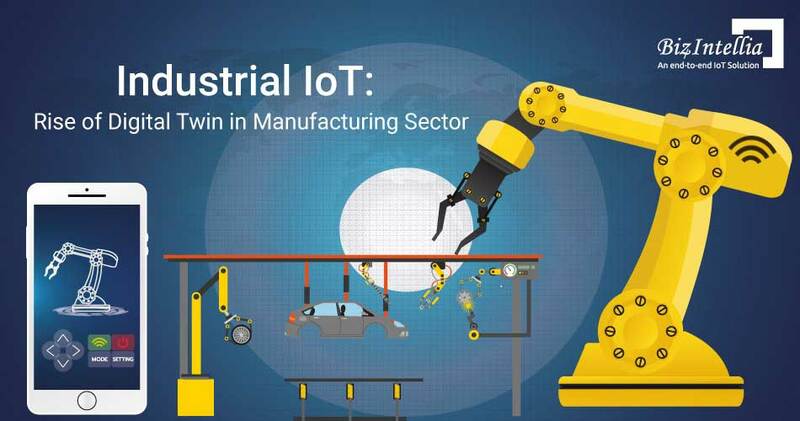 Nowadays multiple industries are opting for Industrial IoT and leveraging their existing resources. 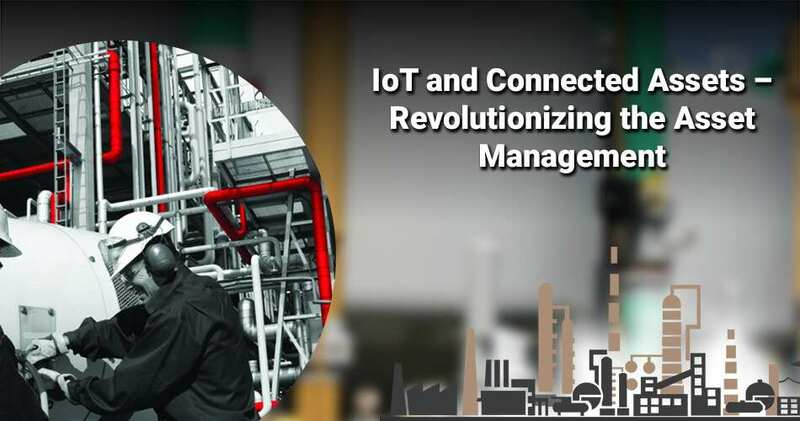 With it’s out of the box IoT architecture, Biz4Intellia’s industry-specific industrial IoT solutions, eradicate the challenges that the Oil and Gas industry is facing like leakage detection, remote area monitoring, fleet monitoring etc. Oil and Gas industry is highly dependent on the effective and consistent operation of the pipeline and other equipment. Excess of vibrations and unmonitored pressure cause the catastrophic loss. IoT Sensors, implemented with Biz4Intellia Industrial IoT Solution, helps in monitoring the pumps, motors, and compressors in oil and gas supply. Also, the sensors help in detecting the dynamic pressure, temperature, and pulses whereas the sensors in engine detect the emissions and hence helps in avoiding the catastrophic loss. Biz4Intellia, an end-to-end IoT solution protects the environment by providing instant notification of pipeline leakage. By quickly addressing the problem, our solution prevents oil and gas from seeping further into the environment where it could have the major impact on wildlife, plants, and water. 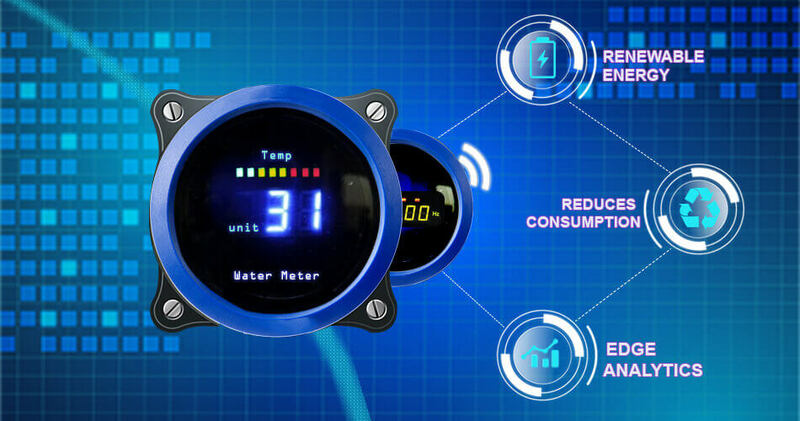 The Real-time Alert system detects the leakage and addresses them immediately which saves money, oil, and environment. All the information from the sensors is acquired and is sent to the cluster cloud. With all the real-time data and geek technology one can predict the 96% accurate data and can send alerts well before time. The moment a leak alert is received, one can take an immediate action to ensure that damage is mitigated. Our implemented pipeline monitoring system helps to know even about the minute leakage that occurs within the pipeline. The invisible vapors indicate leaks which are detected by IoT sensors and real-time sensors which ensures safe Oil and Gas operations. On tracking every meter of the pipeline, alerts are immediately transmitted to control room and accordingly alerts are sent to the supervisors as well. If the leak is found to be more hazardous, the particular pipeline can be shut down. Our smart IoT sensors help in detecting the combustible gas such as methane. They work best at a temperature of 20 degree Celsius and a humidity of 65%. The sensors are able to detect the gases in relatively low quantities. If the detection is not properly monitored then these gases lead to hazardous situations and cause explosions. Our Smart IoT solution helps businesses of every shape and size to improve the efficiency and reduce the costs. Okay, now when we have talked about the Industrial IoT implications in Oil and Gas industry, but the question remains the same. That what is the return on investment an Oil and Gas company can expect against IoT deployment expense?